Today, I bring to you 3 incredibly easy tips on how to start the new year right. Using one or a combination of these tips will help you anchor your energy and give a wonderful opportunity to connect with your spiritual practice! Ask the universe (or whichever deity you work with) to give you guidance or direct message regarding this years overarching theme. Take a deep breath, close your eyes and pull one card from your favorite Tarot or oracle deck. Your thoughts on what it means for you. Throughout the year I recommend you check back in with your new year reading. See if you notice any patterns. Start the new year right by energetically purifying your home, office, or creative spaces. This will allow you to clear the air and remove / release any lingering negative energy for the previous year. Doing this ritual signals to the universe that you serious in starting fresh and and that you’re ready for the next step. 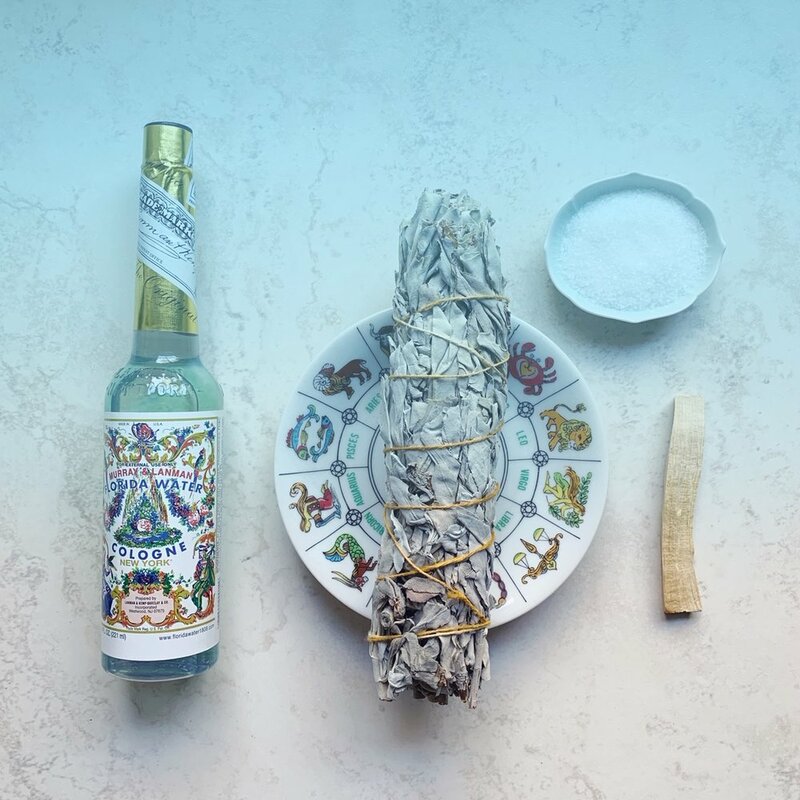 Whether your burn sweetgrass, sage, or palo santo (or all three) make sure you take fire safety precautions like using a fire-proof bowl or glass. As you clear the air in your spaces make sure to hit corners and areas where you tend to pile items. Once you’ve decided on which technique you want to utilize, you’ll want to ground this action by physically cleaning (removing dirt and dust) too. Do the best you can and at the very least straighten up your surfaces. Recently, in my 100 Days of More Magick course, I wrote a lesson about my top picks for crystals I felt my students would benefit from as they build their collections and magickal cupboards. My top pick? Why, Quartz of course! Quartz is that multi-tasking, all-purpose hard working crystal we all love. The benefits of working with Quartz are you can use it as a substitute for a specific stone, to bring energetic harmony, cleanse a space, neutralize negativity, assist in healing, amplify energies / vibrations of other crystals, and help you become more spiritually aware! So, to help you with bring in more of what you want and to 10x your creativity and sense of balance, I recommend purchasing a quartz cluster. Quartz clusters are wonderful ways to define, protect, and maintain energy in a room. The healing and clarity powers of quartz spread to every nook and cranny. I recommend getting one for the home office or the area where you spend the most time daydreaming and creating. Well, that’s it for now! Let me know in the comments which tip you’ll be applying for the new year!